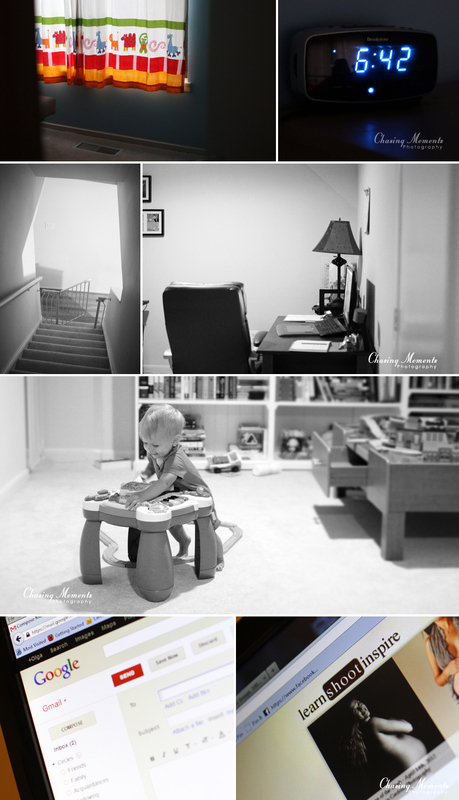 I have for a long time debated whether I should post personal stuff on my photography blog or even on facebook page. 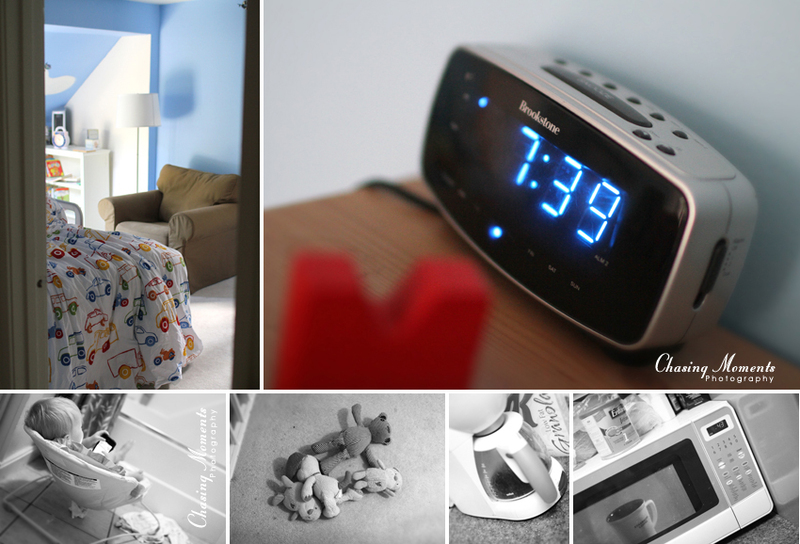 Recently, I decided in favor of sharing an occasional personal “day in life” to allow friends, fans and clients of my photography business to get a glimpse into what’s going on in a photographer’s daily life. My inspiration has been the community at “Learn Shoot Inspire”Â and the amazing work of LSI members capturing their “days in life” (check out the “life unscripted series” on LSI). 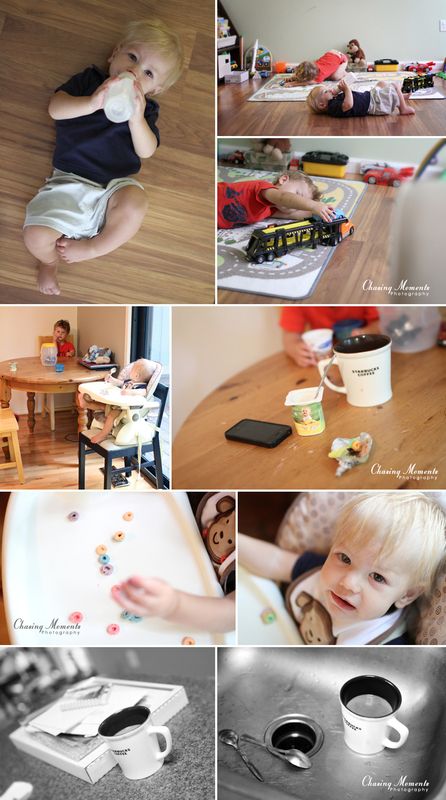 So, without further ado, here is a morning in the life of a photographer-mom : ) (Apparently, I am in a continuous quest for coffee, as evident in the photos below). Toddler woke up a bit after 7am. Give him iphone with a movie, shower (with Baby in the bouncy seat in the shower), go downstairs with kids only to realize there is no more fresh coffee to brew. Microwaving yesterday’s coffee. Need coffee. And wipes. Going to the store to get both. Stop by starbucks on the way to get a cup of fresh brew, which I only have a sip of and then take home with me. Brother’s had enough tv. Time for Baby’s morning nap. Notice the starbucks coffee on the ledge, almost full. Meet our cat. The starbucks coffee is cold. No problem, to the microwave! Writing client addresses, answering some emails. Ah, breakfast! Big Brother playing in the living room. Thank you, pinterest! Just when Toddler was about to have an epic meltdown I remembered that I can throw together a rocket ship for him. Let’s make it two rocket ships. Happy now! Baby’s up. Time to go get him. Toddler told me “no more camera, mommy” (Thank God! As is, this is too many pictures!). So, off we went to have lunch, to the post office, to the playground. By 5pm I still had not had my coffee, so I stuck the boys in the car and went to drive-through starbucks. Bliss. Boys are napping in the car and I’m finally getting my caffeine.